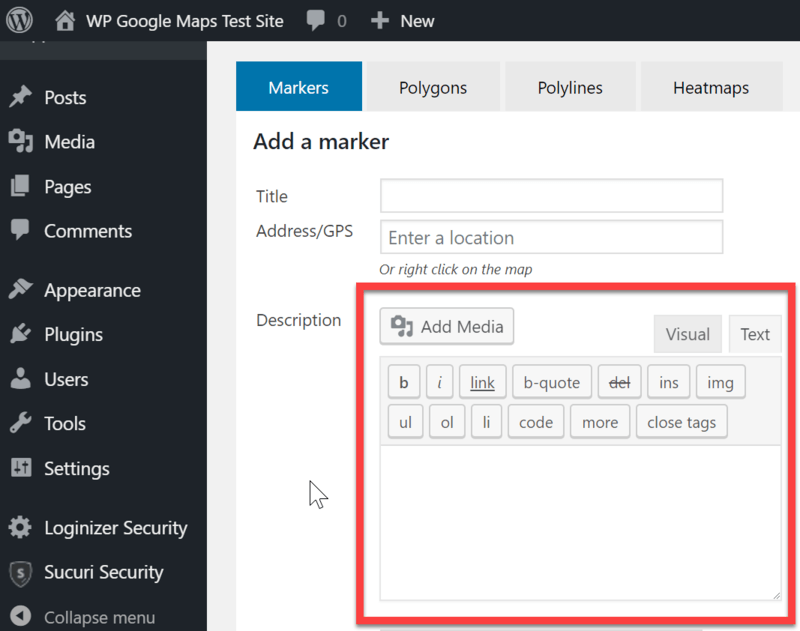 This article covers a plugin conflict between WP Google Maps and the Gutenberg module in JetPack. This article is based on WP Google Maps v6.4.05. When trying to Add a New Marker, you’ll see “Adding”… indefinitely. Opening the Developer Console will reveal a ‘getContent’ error on tinyMCE. To open your Developer Console, please Press F12 in Chrome, or right-click and choose ‘inspect elements’. Select the ‘Console’ tab. Alternatively, please get in touch with our team here, so that we may troubleshoot the issue for you. Additional information on this can also be found here: https://github.com/Automattic/jetpack/issues/7598. Please install and activate the following plugin: https://github.com/georgestephanis/disable-grunion-editor-view. This provides a workaround for the tinyMCE conflict, by disabling the visual editor in Jetpack. Alternatively, please disable the Jetpack visual editor from within its settings area. This article covered a plugin conflict between WP Google Maps and the Gutenberg module in JetPack. If you need further assistance or are having other issues with the plugins, feel free to visit our Support Desk.